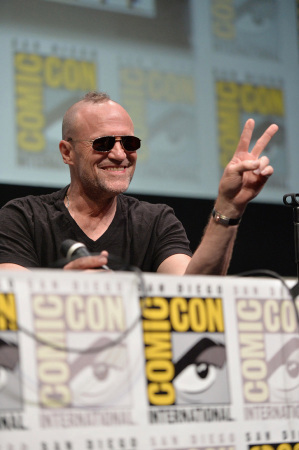 Kudos to great actor Michael Rooker for not taking himself too seriously – and still being awesome! He did this short film to honor the martial arts studio he trains at. This was shot the day the studio put up some autographed pads in his honor. And he took a little beating, along the way! See Michael on the big screen in the upcoming “Guardians of the Galaxy” from Marvel, directed by our former Scream Queens host, James Gunn.